The process of filing and resolving a personal injury claim with an insurance company after a car accident can be difficult. While insurance company representatives may play nice and act like your friend, it’s important to keep in mind that they are not on your side and may use your own words and actions against you in an effort to increase corporate profits. When you are involved in a car accident, you immediately enter into an adversarial relationship with any and all insurance companies who may be involved in the case. This might include the at-fault driver’s insurance company, your own insurance company, and the liability insurance providers of any other party who has been involved in some way or another. Even if they are all representing different parties, all insurance companies involved in a car accident claim have one common goal: to resolve the claim as quickly as possible while paying out as little money as possible to anyone involved in the car accident. These companies have come up with catchy slogans, such as “You’re In Good Hands” and “Like A Good Neighbor”, to distract from the fact that their priority is to make as much profit as possible, not to make sure you are taken care of after a car accident. Liability is a legal term for fault or responsibility, and insurance companies will often try everything they can to deny their own liability for a car accident that may have been caused by their insured. If their driver isn’t liable, then they don’t have a financial responsibility to pay for the damages that a claimant has suffered as a result of a car accident. It’s anyone’s right to deny liability for a car accident, so long as they are truthful and that the evidence supports that claim. 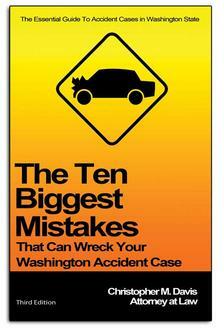 There are a number of ways that liability or fault for a car accident can be proven. A simple solution might be providing the insurance company with an official police traffic collision report (PTCR) stating that their driver was at-fault for the collision. In more complex cases, you may need to hire an expert witness to analyze the scene and provide evidence proving who was at fault. How to go about proving fault may depend upon the circumstances and specific facts unique to your case. You may wish to consult with a car accident attorney in order to determine your best legal options for establishing or disputing liability if the insurance company is contesting liability. 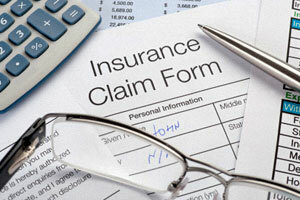 Insurance companies have the legal authority to require a claimant to provide proof that confirms the diagnosis and severity of his or her injuries related to the claim. In plain English, this means that the claimant must provide physical proof that they have been injured, and usually this physical proof comes in the form of medical records containing a certified physician’s professional expert opinion about the diagnosis, extent, and cause of a person’s injuries. Simply telling an insurance company you have been injured in an accident usually isn’t enough for them to agree to compensate you. They will want details of an exact diagnosis from a medical doctor, and they may deny your claim altogether until you submit this proof to the claims representative. In some cases, insurers will attempt to avoid their financial responsibility by claiming that the victim’s injuries were preexisting or caused by something other than their accident. This is especially true if a victim has previous suffered from an injury caused by another incident that is similar to what they are presently claiming for the car accident. Medical records containing a doctor’s opinion about the exact cause of the victim’s injuries may be suitable evidence for countering an insurance company’s argument in this type of situation. If a person has previously suffered from a similar injury, the doctor may acknowledge that the injury was preexisting but had been exacerbated, or that the previous injury had been completely healed and is unrelated to this incident. It all depends upon the specific facts and circumstances of your case. If you or a loved one has been injured in a car accident and you are frustrated by the insurance company denying the claim, it is important to understand your legal rights and options for resolving the case. In many cases, it may be in your best interests to at least consult with an experienced car accident attorney about your legal rights. Award-winning personal injury lawyer Chris Davis of Davis Law Group offers free case evaluation to car accident victims, and there is no obligation to hire us if you do request a free case review. Use the contact form on this page to request a free case evaluation, or call our office in Seattle at (206) 727-4000.